66 Days til Disneyland - Muppet*Vision 3D! 66 Days til Disneyland – Muppet*Vision 3D! Hello everyone! It is only 66 Days til our Disneyland trip! The numbers are getting smaller and smaller each day! 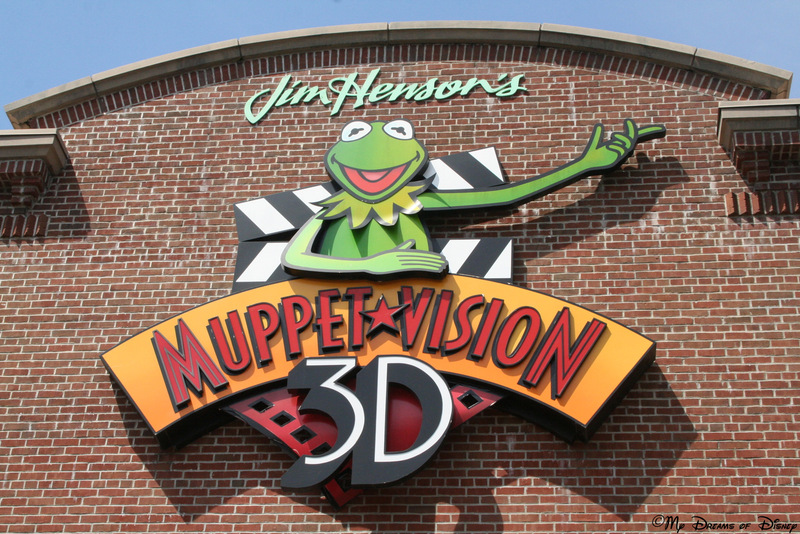 Today we are looking at Muppet*Vision 3D at Disney’s California Adventure Park, located in Hollywood Land! To be honest, I think I like the look of the sign at California Adventure better. Which do you like better? Other then that sign difference, really it doesn’t look like there is anything all that different about the pre-show and the actual show, but does that matter to me? Not one bit! It’s still The Muppets, and I love The Muppets! Quick straw poll — what is your favorite Muppet? Tell me in the comments or on our Facebook Page, and thanks! 48 Days til Disneyland – Sorcerer’s Workshop! Sweetums is my favorite Muppet! Previous Post: 67 Days til Disneyland – The Disney Gallery! Next Post: Tiggerific Tuesday Trivia – A Plethora of Disney History!